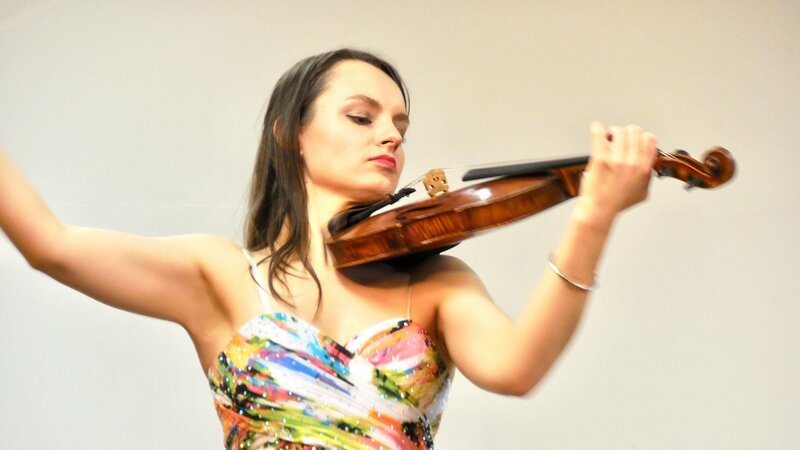 Kinga Augustyn, a Polish-born and New York City-based classical concert violinist and recording artist, recitalist and chamber musician... described as “an adventurous performer valuable to New York’s scene” (NY Concert Review), “stylish and vibrant…playing with verve and superb control” (The Strad Magazine), and “beyond amazing, one hell of a violinist!” (The Fanfare Magazine). Her repertoire ranges from early baroque, which she sometimes performs on a baroque violin, to modern, oftentimes written especially for her. She is known for unique programming of unaccompanied solo violin recitals, and for her advocacy for quality, lesser-known works. Reserve your tickets soon! Space is limited!